Pencils writing, teachers lecturing, books opening, brains thinking analytically—this is Sanford Schools at work. This work has earned Sanford School District an Accredited with Distinction honor. At Sanford Schools we partner with the community to ensure that the focus is on the whole child. This focus begins early as students in the primary grades are asked to fill leadership roles through the Leader in Me program. This leadership carries through to the secondary level as students are asked to be leaders in the classroom, in various clubs, and on the playing field. To further manifest our commitment to the whole child, we continually achieve high performance ratings on all standardized tests with 100% participation rates. Sanford staff members are committed to building strong relationships with students, keeping students engaged, and providing daily rigorous instruction to meet students' needs and prepare them to become the leaders of tomorrow. The partnership between school and community ensures the continual academic and personal success of our students. This honor is greatly appreciated, and business as usual will continue at Sanford Schools. Sanford Schools' mission statement is "to offer today's students a universal education in a safe, rigorous, and engaging environment that will inspire their greatness, prompt their creativity, push them to achieve, encourage their personal growth, and prepare them to be tomorrow's leaders." This statement rings true daily in the community and hallways of Sanford Schools. Sanford's students today will be tomorrow's leaders. 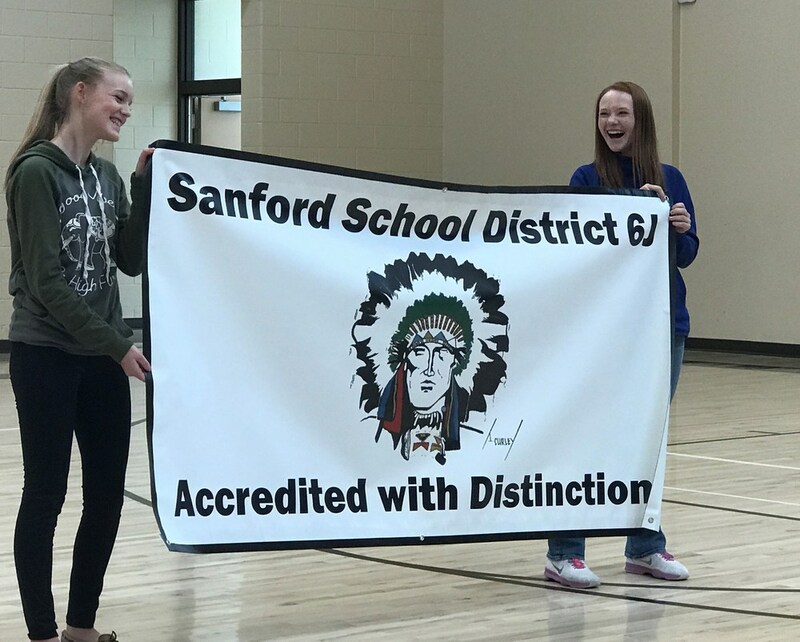 Sanford School celebrated their Accredited with Distinction Honor. A student & community celebration was held in which Tina Gore from CDE addressed the students. “This is the first time I have visited your school, and I immediately felt that you have something special here at Sanford Schools,” said Tina Gore. Ty Coleman also addressed the students and spoke of goals, surrounding yourself with good friends, and the effects of a positive attitude. 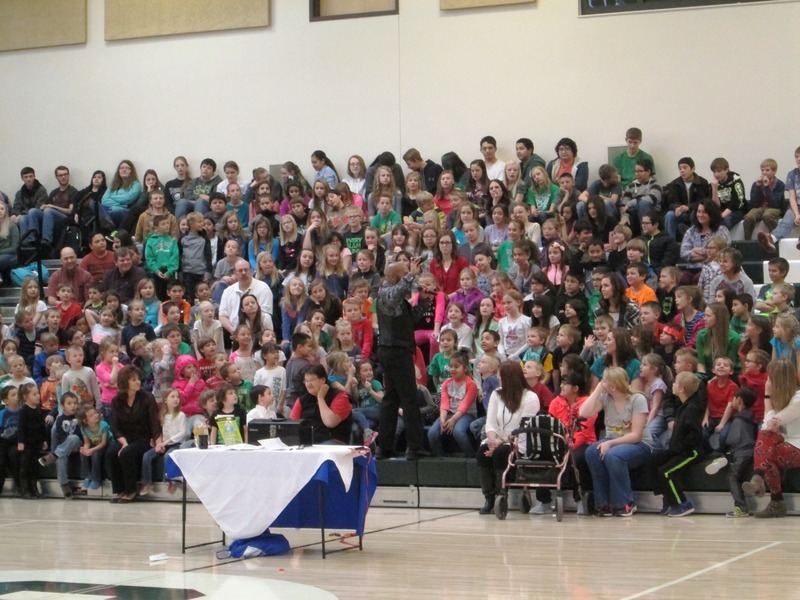 The celebration ended with the elementary students, secondary students, and staff lining up around the gym and giving each and every one a “high five” followed by cupcakes. Later the same evening, the Sanford Board of Education honored the hard work of the staff by providing a dinner catered by “Woody’s Q Shack.” Board President, Kip Canty, addressed the staff and explained that this goal was something everyone had worked hard on for the past few years. “This honor is a result of the work of staff, students, and community, everyone played an important part in reaching this goal,” stated Canty. Conejos County Commissioner Steve Mc Carroll also congratulated the staff and spoke highly of this accomplishment. The Sanford School District would like to thank students, staff, and community for the tremendous work they do day in and day out. 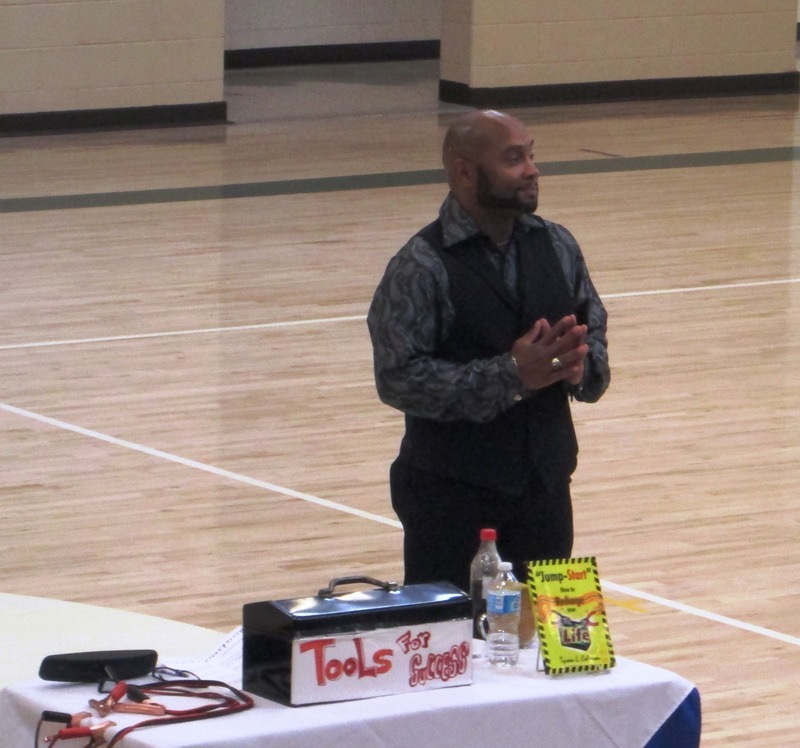 Ty Coleman speaks to Sanford Student-Body.